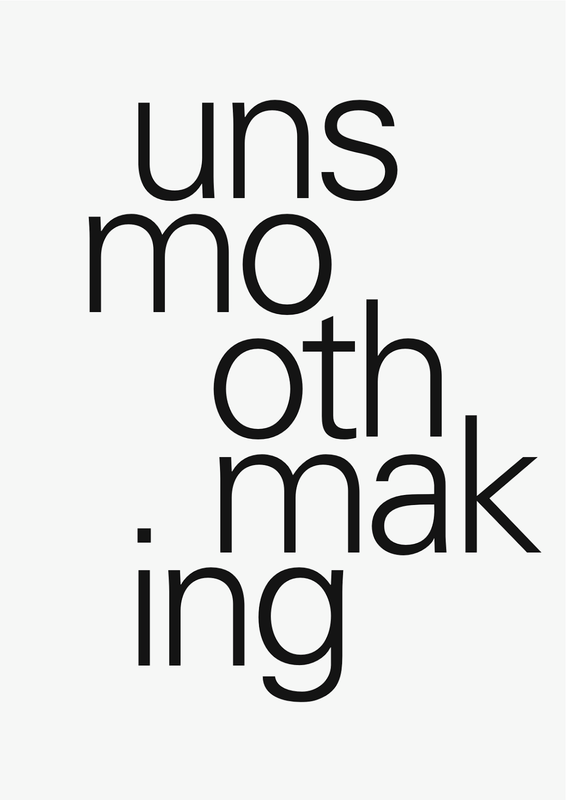 I have been working on unsmoothmaking, a publication that accompanies an exhibition at Transmission Gallery, Glasgow, and which documents a month long artists' residency in October, 2012, at the artist run initiative Lothringer13_Laden in Munich. Psykick Dancehall, Giuseppe Mistretta and Sarah Forrest presented new video works at Transmission; the exhibition opened with the launch of the publication on 15 June. 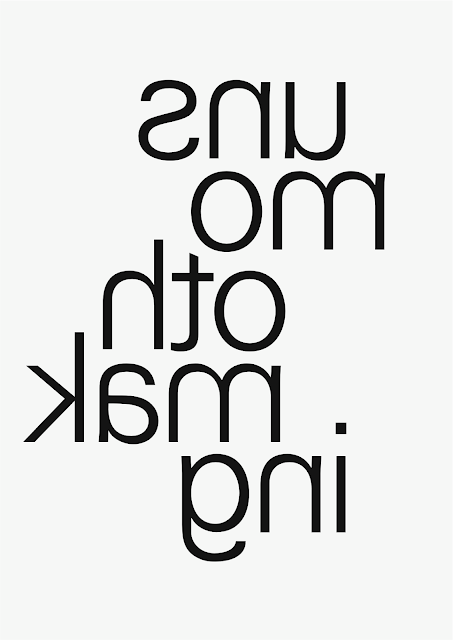 More images of the publication to follow. 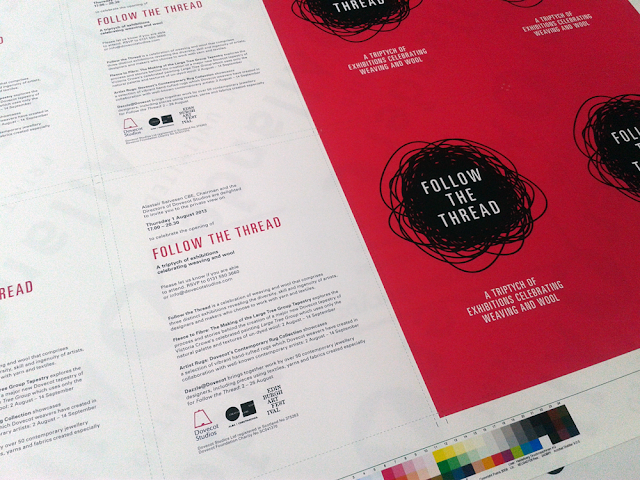 Digital proofs of the private view invitation for Follow the Thread, with the logo and identity that I have designed for Dovecot Studios' Follow the Thread exhibition, which opens on 2 August as part of the 2013 Edinburgh Art Festival. The invitations are being printed by the fantastic Allander Print in Edinburgh. 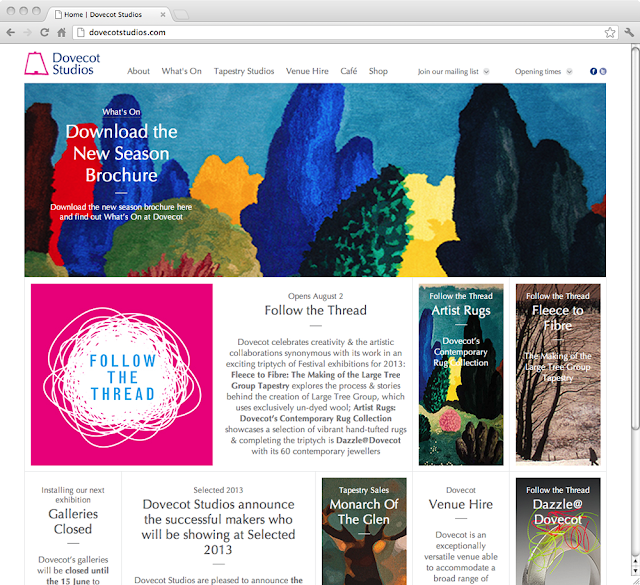 First online sighting of the logo and identity that I have designed for Edinburgh's Dovecot Studios' Follow the Thread exhibition, which opens on 2 August as part of the 2013 Edinburgh Art Festival.